In a budget-cutting move, Temple eliminated several sports, including the softball program as of July 1. Now players and coaches must scatter. The message felt like an insult on top of an already depressing season. "If you're transferring for next year, you need to return your gear to the Athletic Department," the email read. Temple softball players all were told the same thing at the end of May, and most players a similar reaction to that of Kelsey Dominik and Toni Santos. "We felt like they were just asking for the equipment out of spite," said Dominik, a sophomore infielder and pitcher who will be transferring to Coastal Carolina in the fall. So Dominik, Santos and other Owls without a program took their dented bats, ripped batting gloves and scuffed helmets over to athletic director Kevin Clark's door and dumped it there. At one point, the clatter of fiberglass and plastic caught the attention of the AD's secretary, who asked the women what they were doing. "Toni left a note for him saying, 'You're ripping my softball family apart,'" Dominik said. "And we all felt that way." Softball, baseball and men's track were the three varsity programs canceled by the school back in December -- all three of them officially died today, July 1. Men's crew, men's gymnastics and women's rowing will live on, but only as club sports. "Rightsizing our program allows us to fully fund all women's scholarships; fully fund NCAA-permitted coaching positions; and increase the number of team doctors, academic advisers and trainers," the school president told alums in February. Including incoming recruits who'd signed their letters of intent, 24 players were associated with the Temple roster when this past season ended. Six graduated, and five decided to stay at Temple and complete their degrees, even though that meant they had to give up their softball careers (the school agreed to honor players' scholarships for one year). That left 11 players -- and the entire coaching staff -- to scatter. Here are the stories of four players and two coaches, and what they plan on doing post-July 1. If you're looking for a softball coach, there's a good chance you'll hear from DiPietro this summer. In six years at Temple, he'd gone 145-153 and is now without a team for the first time in decades. 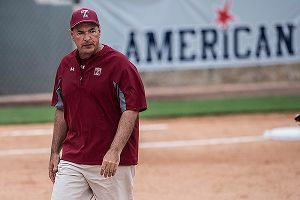 He figured he would retire as Temple's softball coach, but not for at least another 10-plus years. It's frustrating to lose his job, he says, because he felt like he was just getting the team going. The team led the nation in regular-season homers (94) in 2013, and it produced two players who were among the best in the country at their positions -- shortstop Sarah Prezioso and catcher Steph Pasquale. Milestones were within reach as the team transitioned into the newly formed AAC. 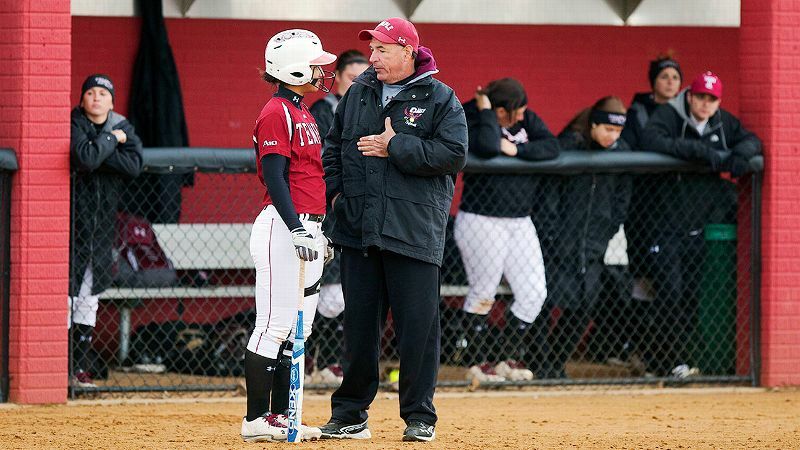 After six years as Temple's head softball coach, Joe DiPietro is now out of a job. It's hitting him now that he may never get a head coaching job again. "It certainly is possible," he said. "I've applied for a lot of jobs. There's no guarantee you're going to get one. So I could have coached my last season. ... The girls are going to be able to find different places to go to school and stuff, but the coaches, we really get [hit hard]." With roots in the Philadelphia area -- DiPietro got started as the JV coach at his alma mater, Camden Catholic, in the early 1980s -- it will be hard to leave, but he's resigned to that reality. His daughter, an only child, will be starting college in the fall, so a move won't be that difficult. He's been staying busy -- going to the gym, watching some local summer tournaments, taking a couple of online sports management courses. But changing careers? He hasn't thought about that yet. "This is what I do. I want to stay in the game and coach," he said. Chelsea Butler was a Temple assistant for one year before the program was shuttered. Last October, DiPietro hired Chelsea Butler, 26, to move from California to Philadelphia and be his top assistant coach. A dominant college pitcher at Eastern Kentucky, Butler's career was in typical entry-level mode before arriving at Temple: She coached at her alma mater for a year, moved to Utah State for the next season and gave individual pitching lessons on the side. She was looking for something longer-term. "I put roots down at Temple. I wasn't expecting it to be one- or two-and-done," Butler said from her family's home in Buena Park, Calif. "Then we found out the program was being canceled in December. 'Upsetting' is a good word for how [I took the news]. I expected to be at Temple for an extended period of time alongside Joe." Now she's back to where she was a year ago at this time, networking, sending out résumés and looking for a new place to grow her career. Currently living with her family in California, Butler has had some interviews lately (Dayton, Northern Kentucky) and is feeling optimistic. "I don't know if 'sets me back' is the right term," Butler said. "I'm nervous for what the future may hold. But I didn't resign or get fired or leave on my own. I'm simply being told, 'Hey, you have to go, and no one else is going to be here, either.'" Even though Kastner has another year of eligibility remaining, her career is officially over. Temple opted to honor players' scholarships for one academic year, and that was enough for Kastner, a biology major who plans to go to medical school and will take the MCAT in late July. 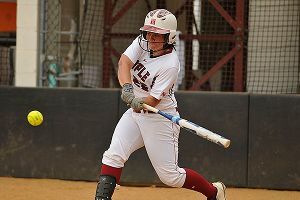 Outfielder Julia Kastner had one year of eligibility remaining, but she opted to accept Temple's offer to retain her scholarship and finish up her biology degree at the school. This will be the first summer since elementary school that Kastner hasn't at least played a Little League game, and she's OK with that. 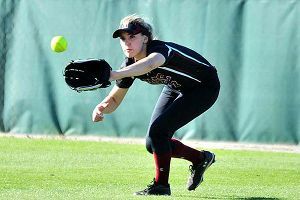 "Softball's always been such a big part of my life since I was so little," Kastner said. "I'm focused on medical school and being the best doctor I can be, but it's always sad to know you're moving on to the [next] stage of your life." There was a senior night for her graduating teammates, but for her classmates graduating next year? "It was like, this is it. Three years, I thought I was going to get four," she said. "It didn't really hit home until I got a text from my dad after our last game. He said 'Thanks for everything, thanks for letting me watch you play all these years.' I got pretty emotional when I saw that." A disruptive offensive player as a junior in 2013, Pasquale was named to multiple preseason all-star teams in 2014. But a broken hand on March 4 put the rest of the season in doubt. Aware she wouldn't be able to get much out of her senior year if she did come back and play, Pasquale applied for and received a medical redshirt from the NCAA. Then came the hard part: She had to find somewhere else to go to school. Catcher Steph Pasquale found a new home at the University of Nebraska, where she'll finish out the last year of her college softball career next season. "I just signed my paperwork to go to Nebraska," Pasquale said when reached earlier this summer in New Jersey. "I emailed them, and they answered me that day, because their catcher who was supposed to catch next year decided to transfer. That kind of worked out." She will take graduate classes in special education this year while using her final year of sports eligibility, and then remain at Nebraska the next year as a graduate manager. "Whatever way I put it, it's going to sound wrong," Pasquale said when asked about missing most of her final year at Temple. "I loved playing with them, but I'm also looking forward to playing with the new team." Pasquale isn't worried about Big Ten competition. She's confident in her ability. So the biggest adjustment might have to come from her father, who attended nearly every game at the school's home field in Ambler, Pennsylvania. It's almost 1,300 miles from North Jersey to Lincoln. "I'm sure he's going to miss watching me play every game," she said. "But he's already made plans to come out for one stretch when we have four or five games in 10 days." Called "the best shortstop I've ever played with," by Pasquale, Prezioso's career home run record will never be threatened at Temple, due to the program's demise. After a record-setting junior year in 2013, Prezioso decided she'd let coaches in the National Pro Fastpitch league know she would be interested in playing after she graduated in 2014. But response was lukewarm at the end of Temple's season, and until she heard from coach Rick Bertagnolli, who asked her to come to a tryout with the Pennsylvania Rebellion pro team, she was home in Bloomfield, New Jersey, wondering what she would do next like most recent college grads. She made the team, and unlike most collegiate softball players, her career is continuing in a league populated by veteran players who are Olympic champions and former college All-Americans. As a rookie, Prezioso is getting playing time mostly as a pinch hitter and pinch runner. 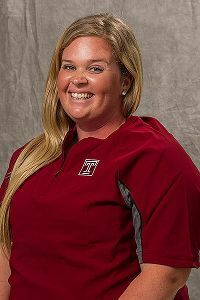 Shortstop Sarah Prezioso leaves Temple as one of the program's all-time best players. "I'm just happy to be here. I'm living in the moment. If I don't play the whole season, I'm not even worried about it. I'll pinch run, I'll do whatever," Prezioso said. "The people who are playing above me, I admire them, and I'm looking up to them as something I want to be in the future if they keep me." Prezioso and her teammates say they know they could have played better this year, but the specter of the final season was stifling at times. And as much as players say they don't care about postseason recognition, she felt as if the new conference ignored Temple's top performers because the team would not continue. "I was pretty disappointed I didn't make any of the conference teams. But I know because of our situation, no one was going to give us the time of day," she said. 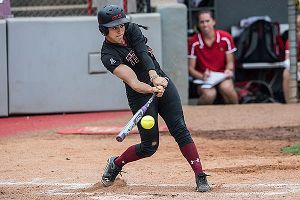 In spite of feeling slighted at the end-of-year AAC banquet, Prezioso seems to be having the summer of her life playing pro ball, and even lashed a late-inning pinch hit and came around to score the winning run in a recent Rebellion game. Two years ago, catcher Shelby Stracher was playing in an all-star game. The way it was set up, players received equal time at their positions and entered the game in alphabetical order. It's a long wait to get to "S." "I got to catch one inning, and the pitcher was dominant," the Dudley, Massachusetts, native said. "And then she walked a batter, and I thought, 'Here's a chance to showcase my skills.'" 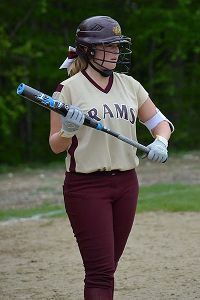 Catcher Shelby Stracher committed to Temple in 2012 as a high school junior, but now will play softball at Towson. One snap throw down to first later, Stracher caught DiPietro's attention. A few months later, she was a Temple Owl commit. Friends were called. Cherry-and-white sweatshirts were purchased at the campus bookstore. A national letter of intent was signed. Then the program was canceled. "I was hysterical. I was crying my eyes out, saying 'this can't be true, this can't be happening,'" Stracher remembered of the day she found out. "It's the hardest I've cried in a really long time." After receiving recruiting interest from a number of big-time schools before committing to Temple, this time around, Stracher received mostly empathy, but no scholarship offers from the same schools. The money for 2014 grads had been spent, she was told. But Towson finally came through with an offer that was equivalent to her 75 percent scholarship from Temple. Those Temple T-shirts? They've been handed down to little sis, and Mom wears them for chores around the house. "I said, 'Mom, do you have to wear that?' And she said, 'I don't give a crap if I get anything on it and it gets ruined.'"